Students - Today's poem came from an unusual place...I was asked to write it! My children's school the Aurora Waldorf School, is hosting the Children's Discovery Garden at Plantasia, an event in our area this weekend. There will be a moat for tossing coins for a charity and for making wishes of course. 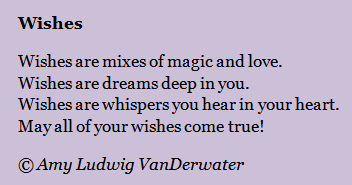 My friends at school needed a little rhyme to go along with the wishes, and here it is! Sometimes a person writes a poem because of an occasion or a special happening or day. This is making me remember when I turned 30. Many of our friends came to a wonderful surprise party planned by my husband, and several of them read poems they had written, a tradition I learned about when I was an exchange student in Denmark so many years before. Do you have a special occasion coming up? Does someone you know? You, too, might write a poem or little rhyme to mark it in some way. Or if you need to make a sign, why not try it in verse! I chose to share the photo you see above today because it is a wish come true for me. 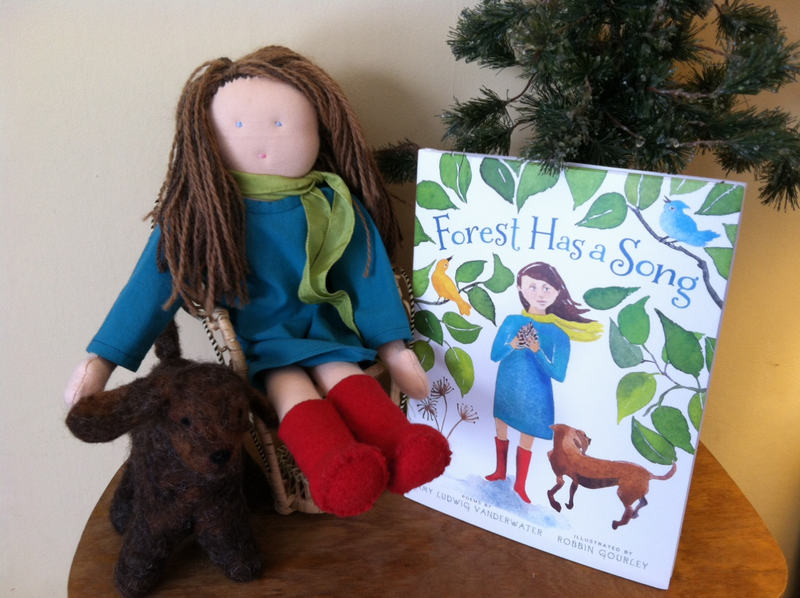 My first book comes out on Tuesday, and my friend, artist Dawne Hoeg, made this doll and dog, two of the characters in the book, as a gift for me. I could not feel luckier! 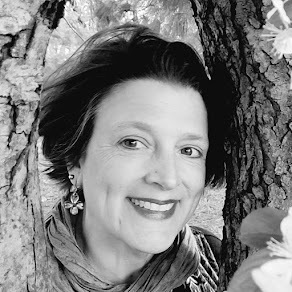 Today I am so happy to welcome Theresa oland, a happy homeschooling mom of five children in the Buffalo, NY area. 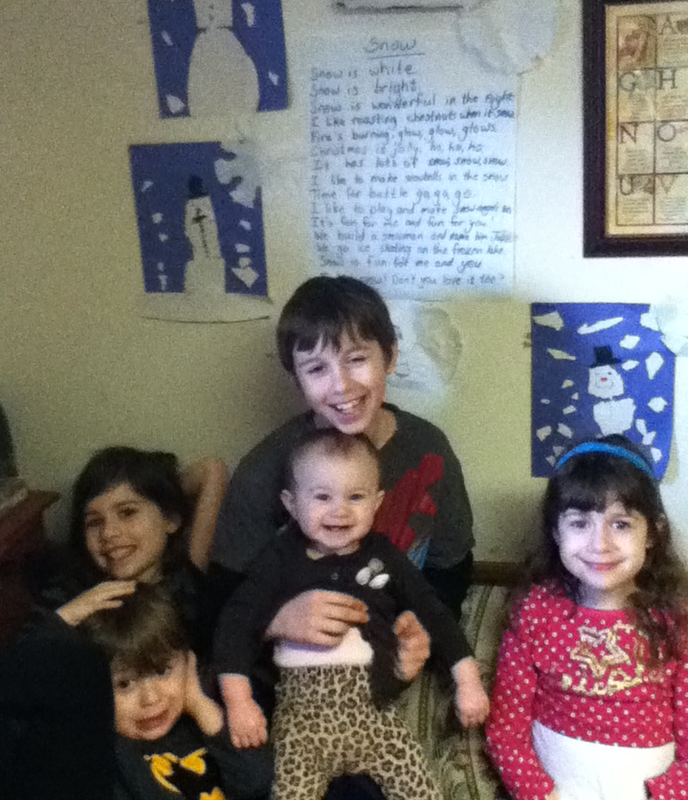 Buffalo is quite a snowy town, and Theresa and her children celebrated some of this snowiness by writing a poem together at home, in school, with love. Snow is wonderful in the night. I like roasting chestnuts when it snows. Fire's burning, glow, glow, glows. Christmas is jolly, ho, ho, ho. It has lots of snow, snow, snow. I like to make snowballs in the snow. Time for battle, go, go, go! I like to play and make snow angels too. It's fun for me and fun for you! We build a snowman and name him Jake. We go ice skating on the frozen lake. Snow is fun for me and you. I love snow! Don't you love it too? Here are the poets with their writing and artwork displayed at home. My love for poetry has been around ever since I was a little girl. I remember listening to poetry, loving the rhythm and tone the reader used when reading poetry. It always amazed me how the rhyming words, story and word pictures could all be wrapped into a beautiful poem. As I got older I learned that not all poems have to rhyme. This only made my love for poetry grow as I found deeper meaning in the abstract of poetry. Along my journey from school teacher to now homeschooling mother of 5, I knew I wanted to include poetry in the lives of children in my life. One way that I've been able to do this is first of all, to read different types of poetry to them. As I'm reading these various poems, I am always sure to use a lot of expression in my voice as well as emphasizing the rhyming words if it happens to be a rhyming poem. Another way I incorporate poetry is to have my children come up with poems on the different topics we are covering. For example, if we happen to be learning about insects they come up with a poem about bugs. As they get older I plan to introduce poetry as an instrument to express their feelings, teaching them that poetry doesn't necessarily have to rhyme but can convey a deeper meaning. 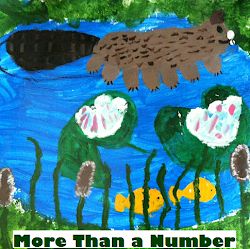 I also love to have my children illustrate their poems. This really makes it come alive for them. They just love to take their written words and put a picture to them. Yes, poetry is very important to me and I hope my children develop their own love for poetry too. Thank you so much to Theresa and her young poets for joining us here today. 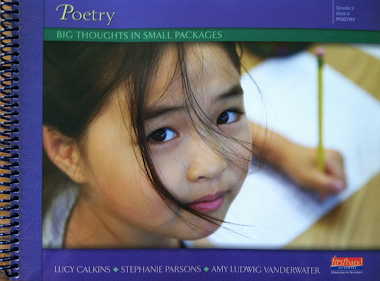 It is an honor to share children's work and other's love of poetry. I invite you to send your poems and words about poetry to me as well! In case you haven't gotten involved in the March Madness Poetry Competition over at Think Kid, Think!, Ed DeCaria brings us another season of poetry fun and celebration! Head on over to vote in the Sweet Sixteen round. I voted last night, and you still have a little bit of voting time left for this round too. 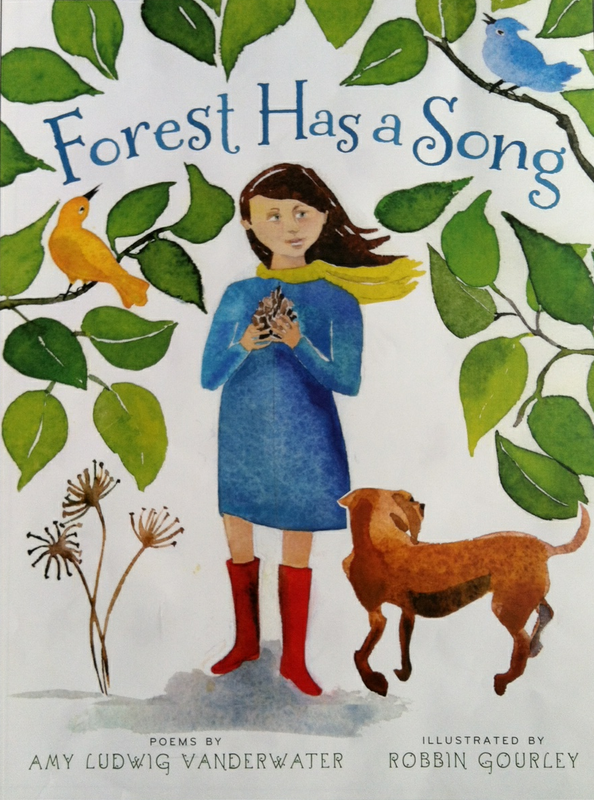 Angela Stockman visits Sharing Our Notebooks, my blog about writers notebooks, this month. Visit here to take a peek inside her notebooks and leave a comment to be entered into a drawing to win one of her favorite books. I will draw names tomorrow! Greg is hosting today's Poetry Friday roundup over at GottaBook. 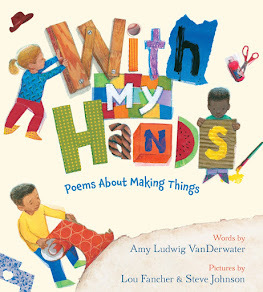 Visit his place to find out what's happening poetry-wise in the Kidlitosphere today.... Greg also announces his annual 30 Poets/30 Days for April today. Happy Poetry Friday! What a great photo of poets at home! Theresa sounds like an insightful teacher. Congrats on the gorgeous doll and dog! Nice, Amy, all the way through. Great to have the family visiting, & hope the 'garden' event goes well, & with your poem! Congrats on your book! The photo and Theresa's post are awesome, too! I hope you have your wish ready. Enjoy the event. My husband spent a year as an exchange student in Denmark, too, and always spoke fondly of this tradition of writing commemorative poems. Lovely poem and lesson, Amy! I am eagerly awaiting your book...placed the order last week! I just love The Poem Farm! Love love love the doll and dog! !